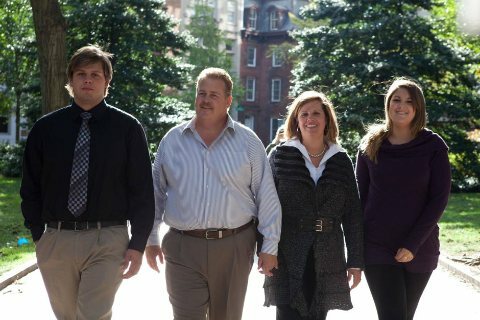 DCH Contractors, LLC is a family owned and operated business consisting of David and Lynda Horlacher and their children, Tim and Amanda. David, owner/operator, brings over 30 years of experience in all phases of the construction business. David was born into the construction business, following in his father's footsteps, who spent 50 years in the construction field. Prior to starting DCH Contractors, LLC, David spent 20 years working for local construction firms in various management positions. David takes an active, hands-on approach, and regularly visits the job sites. Lynda is involved in product procurement, among other aspects of the business. Her strengths are in client relationship development and in consulting with design teams to ensure that the designer's ideas are carried forward in the finished product. Tim brings his creative thinking to see that the client's wishes meet the realities of the construction business. Tim spends much of his time in the field managing the workforce to assure that the projects are completed on a timely basis. He always looks for a collaborative way to solve issues. Amanda is the Operations and Project Manager. As a multi-tasker, Amanda is on top of all of the projects to make sure that everything and everyone are in the correct place and the projects are running smoothly. 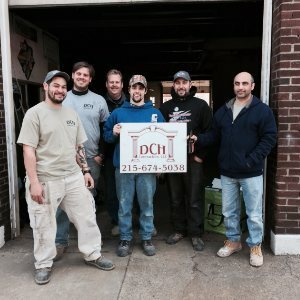 Ron is our in-house skilled carpenter with over 12 years of experience, starting with DCH in 2006. Anthony is our on-site project manager. He is a skilled carpenter and joined our team in 2012. Jose is relatively new to construction and to our team. Jose brings with him the desire to learn each and every day, and to maintain the job sites to ensure safety to all who enter the property. Gentjan is a master painter. He is able to satisfy any color palette which our clients desire.